Pascal Tingaud, chef par excellence, suggests champagne and food combinations for your finer sensibilities. Champagne, owing to its myriad connotations (whether celebratory or congratulatory), is quite the royalty in the alcohol hierarchy. But you may just be missing out on the chance to truly savour champagne and explore all its facets by limiting its role to particular occasions. A bottle of bubbly is usually popped at the end of a party and then served with dessert, which has the potential to underplay its smoothness. For a party, explore the option of alternating between vintage and non-vintage champagnes across courses. A classic vintage can bring out the discrete flavours of each ingredient, so consider pairing an entire meal with bottles of the same bubbly. Save the prestige cuvees for smaller intimate gatherings when you can savour the notes at leisure. As champagne has a particularly high acidic content and very low levels of sugar, its maturity determines how amenable it is to pairing with food ranging across a broad spectrum of flavours. 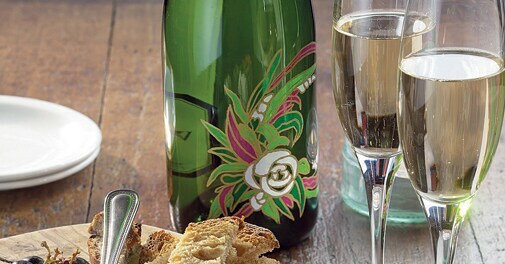 Sweeter demi-sec champagnes work best for desserts, specifically berries, angel food cake and lemon tart. Don't ever use champagne in cooking because its delicate essence gets subsumed in the stronger aromas of food. Champagne made from red pinot noir grapes goes well with robust flavours like meat and cheese. For fish spiced with lime or salsa, you need champagne made from chardonnay grapes, which are higher in terms of sharpness and minerality. These specifications, however, are flexible because a really good vintage that has been aged for more than three years from the time of harvest will go well with anything, ranging from poached salmon and fried mushroom to risotto barbecued chicken and salads. Chef Pascal was in New Delhi for the Dom Perignon Gastronomy programme.